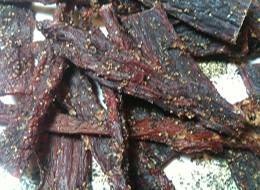 "Best Beef Jerky" Says Dr. Robert Carlson! 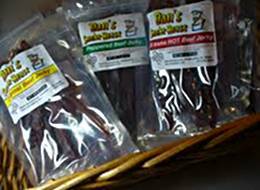 Best Beef Jerky - Why Dan's Is The Best! With over 2.7 Million packages of Dan’s Smokehouse Gourmet Beef Jerky sold across the US and the world in the last 20 years, it’s easy to see why Dan’s beef jerky is the most sought after in local stores and across the internet. Dan has been pleasing the most discerning beef jerky lover with his succulent, top choice USDA beef – a cut of beef that is the secret to this mouth-watering jerky. As Dan says, when you call a product “gourmet” it had best live up to its name. That's why people buy beef jerky from all over the world from Dan's. 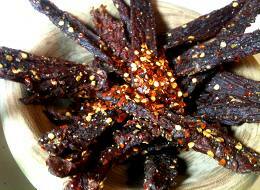 Best Beef Jerky - Dan's Smokehouse Beef Jerky is Gourmet and Guaranteed! And with Dan’s, you know just who made it and where it’s coming from – Dan Hamilton’s Smokehouse that is tested and certified by the State of Texas. 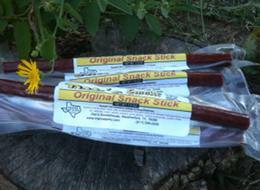 Dan is so sure you’ll love his beef jerky more than any other he’ll cheerfully refund your purchase if you don’t agree! That hasn’t happened yet in 20 years! 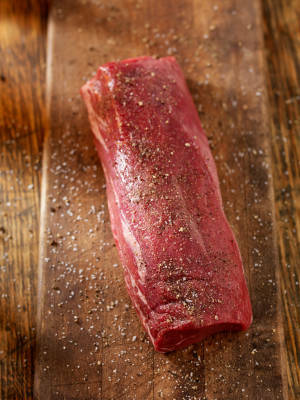 Be sure to visit with Dan and Lath on the their beef jerky blog!